The popularity of the Kardashian family is connected, first of all, with the eldest sister, actress, and model, Kim. Her sisters can only bask in Kim's glory. But younger sister Khloe Kardashian is worthy of attention too. Khloe Alexandra Kardashian was born on June 27, 1984, in Los Angeles (California, USA). The American businesswoman and model has Armenian paternal relatives, as well as Dutch and Scottish maternal relatives. Family relationships are complicated. Father Robert Kardashian was a lawyer, the mother is a businesswoman and producer, Kris Jenner. There are four children: three daughters Kim, Khloe, and Kourtney and brother Rob in the family. When the girl was five years old, the mother filed for divorce. A year later, Kris married an athlete, Bruce Jenner. By the way, later Bruce underwent male to female gender reassignment surgery. Through the second marriage, Kardashian gained three more stepbrothers (Burton, Brandon, Brody Jenner), stepsister Casey, half-sisters Kendall and Kylie. In 2003 Robert Kardashian died, and soon after her father's death, Khloe was diagnosed with a skin cancer, which she completely managed by 2017. There is no information about Khloe’s education. Khloe Kardashian considers herself, first of all, a businesswoman, only then a socialite. Three sisters Kardashian (Kim, Kourtney, Khloe) own women's clothing stores in Miami and Los Angeles. Khloe is a votary of the environmentally friendly way of life and thinking, including business issues. In 2009, the young woman developed a toothpaste based on natural ingredients, together with the sisters and the Natural Products Association. Khloe Kardashian first appeared on the screen in 2007, in the reality show Keeping Up with the Kardashians on the E! TV channel. The idea of creating the show belongs to Kris, she also worked as a producer. In 2003, Khloe began her career on television, starring in a television show where participants competed for the chance to become a model. From 2003 to 2017, Kardashian younger sister appeared on TV, playing bit roles or even herself in a reality show dedicated to the family. Thanks to her mother’s idea to create Keeping Up with the Kardashians, Khloe has often appeared on TV and her popularity has reached the level of the more famous sister Kim. Since early childhood, Khloe has distinguished by her stout body from graceful and fragile sisters, which resulted in constant mockery and criticism. However, this fact did not affect the girl's self-esteem. 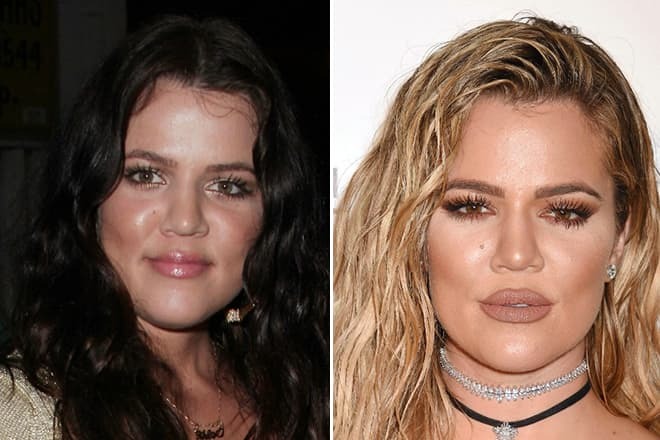 Khloe admits that even Kris wanted her daughter to have the rhinoplasty at the age of 9. 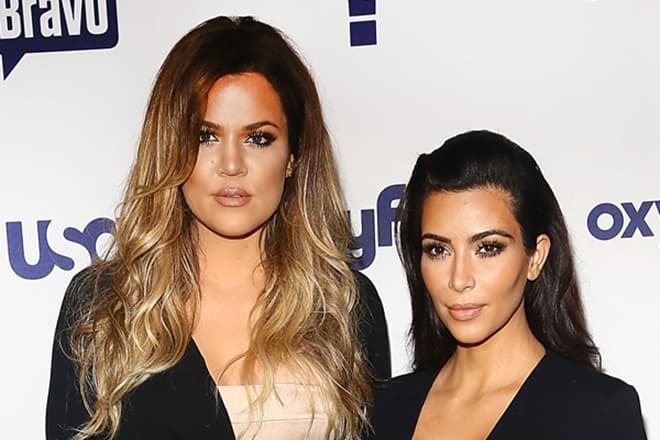 Kardashian’s far from ideal Hollywood standards figure does not hamper a good personal life. 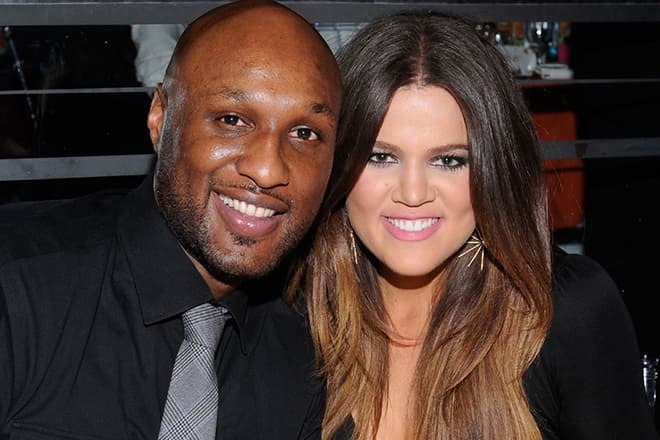 In September 2009, Khloe and basketball player Lamar Odom’s love affair turned into an official marriage. It occurred one month after their acquaintance. The couple lived for 7 years. In 2016, Kardashian filed for a divorce. The family status did not prevent both spouses from periodically appearing in public with their new lovers. According to the press, it was the reason for the divorce. In 2015, Kardashian’s former husband fell into a coma after several blood-strokes, when he was in a brothel under the influence of alcohol and drugs intoxication. Khloe seriously worried about Lamar's health problems. The young woman has recently started to actively struggle with the body. The star’s photos on Instagram shows a stunning result. The presenter appeared on the show Kocktails with Khloe in a revealing dress showing her tempting body. There are comments on the Internet that accuse the host of plastic surgery. Khloe reacts to such opinions rather harshly and explains that losing weight is the result of daily training in the fitness club and wearing a special corset. In an interview, Khloe states that she has a fluctuating weight with a height of 177 cm. According to the girl, she lost about 16 kg for the period of 2013-2015. In 2015, Kardashian youngest sister published the book “Strong Looks Better Naked,” where she told readers about her way to the ideal figure. Khloe writes that after her father's death she faced the problem of alcohol abuse. In 2007, the young woman was arrested for driving under the influence. Despite the fact that the star was sentenced to one month in jail, she was released on the same day. The official reason for this decision was overcrowding. 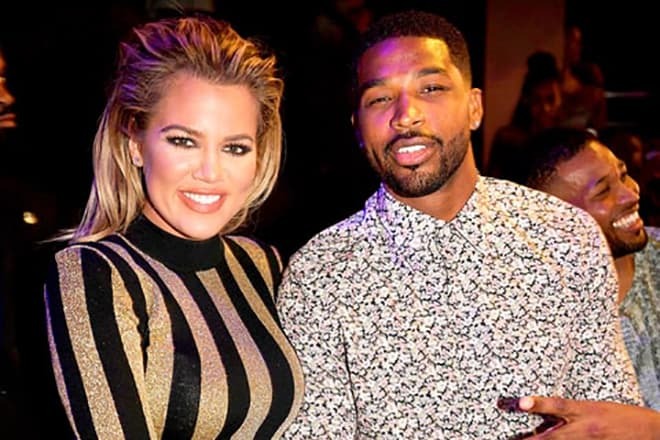 Since 2016, Khloe Kardashian has started dating Tristan Thompson, a Canadian basketball player who broke up with a pregnant girlfriend for a new lover. Tristan organized a luxurious party at an expensive Hollywood restaurant on the day of Khloe’s 33rd birthday. In August 2017, Khloe posted a photo with Tristan on Instagram, where she made a declaration of love to a sportsman. At the end of September 2017, the press found out that Khloe and Tristan would soon become parents. In September 2017, pregnant Khloe Kardashian took part in a photo shoot, as part of the advertising campaign Good American. The star boasts an excellent figure in the photo, and the press suspected Khloe of liposuction again.